Making good things takes time. Making great things takes longer. This is especially true – and even more of a challenge – when it comes to game development. Release a game too early and it can lack a proper polish; however, keep it in the oven too long and its potential could go up in flames. The recent Free Weekend confirmed that there is a lot of interest in Vigor, but also highlighted some of the challenges we have to tackle before leaving Game Preview. Even though we are delighted at the sheer amount of players who enjoyed post-war Norway over the weekend (more on that later), some of our current solutions are not quite ready for this influx of players. As you read this, our engineers are working hard on improvements and we should resolve these limitations soon. 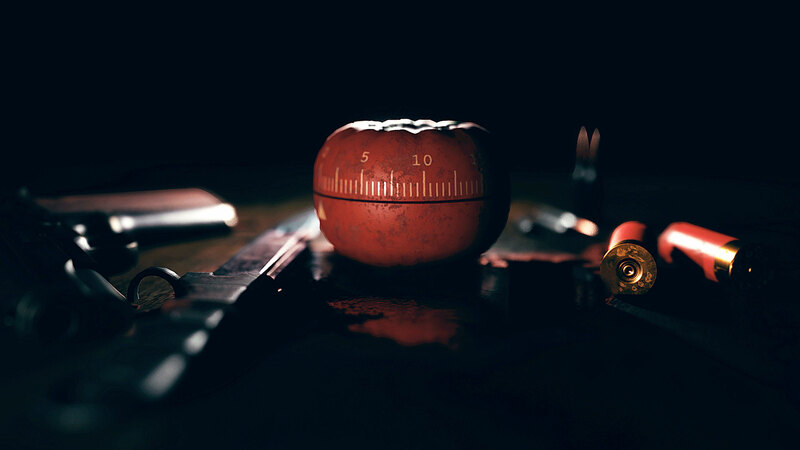 We want to provide you with the best possible version of the game – while not making you wait too long – and we aim to do just that. Therefore, we have to break our previous promise of releasing in Q1 2019. Vigor will now release in Summer 2019 as Free-To-Play. We are really sorry for this! It was not a decision made lightly and we will spend the additional time ensuring Vigor is as good as it can be. Our primary focus is on stability, gunplay, and providing engaging and meaningful player choices – all of which we are already making solid progress with. Our programmers are finishing a complete rework of the shooting mechanics, which we will share with you as soon as we can. Of course, stability and optimization are a never-ending process of improvements for us and we will continue to work on these – for example, right now we are changing the way loot is used in Encounters to provide better overall performance. Also, our back-end servers are transitioning to a new technology (it was actually the interface between the old and new that provided us with most of the head-scratching over the weekend). Last, but definitely not least, you might have seen a glimpse of the new mechanics in Update 0.8, and we are working on more while keeping the complexity level reasonable. It will be up to you, the players, to choose which goals you pursue in each Encounter – all with their own level of risk versus reward. There is a ton of stuff we would like to add to the game. However, the very nature of game development makes many ideas obsolete the moment they hit the paper, and even more so when we try to incorporate the feedback from our wonderful community. Here's just a sample of things we would like to add to improve the game. Please, keep in mind that some of these may sound great in theory yet not really work in practice, and not all listed are definite. 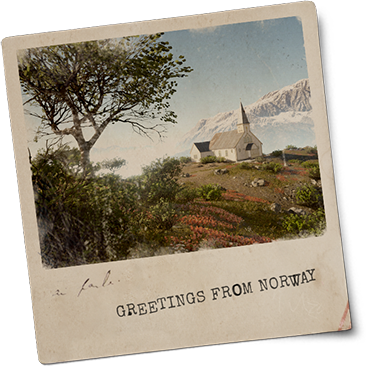 We would like to give a huge shout-out to everyone who has played the game so far, and to all of those who joined us in post-war Norway during our Free Weekend on 22–24 March. You’re all awesome! And we hope to welcome many more to the harsh-yet-beautiful world of Vigor in the future. Exciting times are ahead! Having you play Vigor during Game Preview helps our game in so many ways; especially when there are more of you, such as during the Free Weekend. Most importantly, early access allows you to provide us with a lot of great feedback we can use to shape and improve the game. And seeing so many of you playing and enjoying the game is actually a great morale boost for the whole team – we always watch all social networks and check out as many streams as we can (both big and small). Additionally, our Vigor Partners – acting as Community Ambassadors – are a way to spice up this aspect of the game, as we constantly discuss with them the state of the game, community feedback, and potential improvements. Last but not least, the more players there are, the better the data we can gather from the game. During the Free Weekend, it was especially cool to witness such short matchmaking times and how our game servers can scale thanks to our partners at Multiplay. But not all was smooth sailing during the Free Weekend, as we encountered some unexpected downtime. The pure scale of new players managed to test, strain, and eventually break some of our back-end servers. Fortunately, we were able to address – and solve – several key issues over the course of the weekend, and thanks to the data gathered we have identified other potential obstacles, and are already working on fixes. All of this will help the game be in great shape once it leaves Game Preview, and, of course, we will continue to support, improve, and expand Vigor after its release. At the end of the day we all want the same thing: a great game to play. So, please keep sending us your feedback – even long after the game fully releases – as we are always listening and try our best to address your concerns and implement your suggestions. Let's continue working together to make Vigor the best it can be! 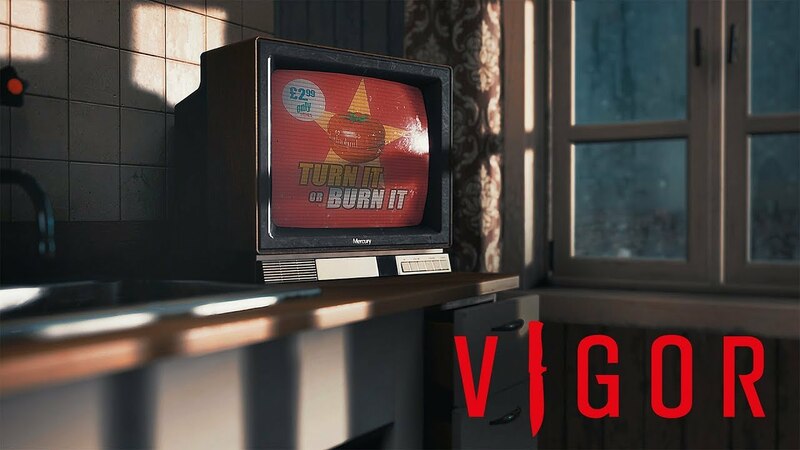 To stay up-to-date with the latest info, make sure to follow us on Twitter and Facebook, or head over to vigorgame.com. 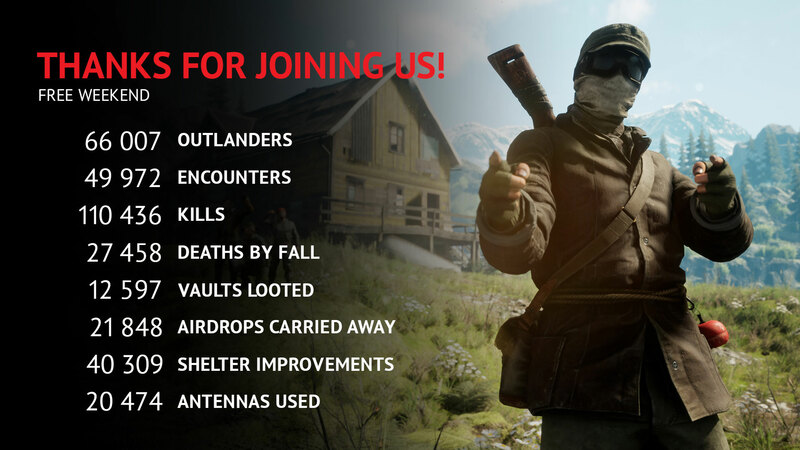 Stay safe out there, Outlanders!